Ugly stepsister. bulent ersoy. 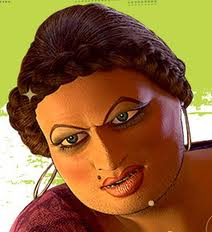 Wallpaper and background images in the Shrek club tagged: photo ugly stepsister bulent ersoy shrek. This Shrek photo contains portret, headshot, and close-up. LOL I never noticed she had a beard..